Any competitive rower is familiar with the close relationship that the sport has with objective data. Whether it is based on physiological or technical proficiency, there is no shortage of devices that can quantify athletic capabilities. A consistently growing area of study is the role that biomechanics plays in the boat-athlete system. The relationship between forces applied and shell performance is so closely linked, that a change in potential force input can alter the hull shape necessary to perform at the highest possible level. Therefore, a great deal of time is spent understanding force inputs and their effects on component and hull design. Whether the end goal is a better understanding of correlating variables for the purpose of equipment improvement or, simply an individual desire for athletic improvements, knowledge of biomechanical interactions is a critical undertaking. 1. To gain a better understanding of the relationships that exist between kinematics and kinetics as it applies to rowing performance. 2. Delivery of key feedback to coaches and athletes to promote knowledge translation. As data is collected, and relationships are investigated, advancements as a result of our increased knowledge are continually developed. It is critical that the new found information is passed on to the coach and athlete in order to elicit a performance gain. 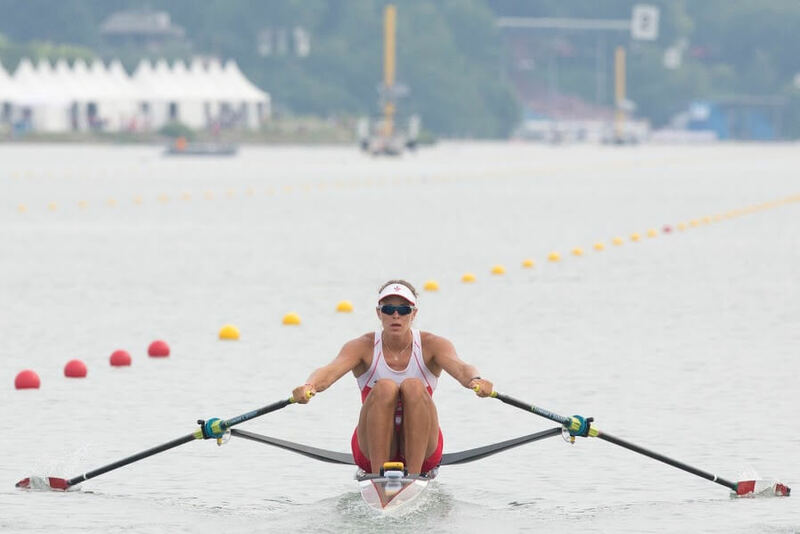 Knowledge transfer as it relates to biomechanical analysis can ensure a proper fit, optimized rigging and quantification of boat-rower performance, helping to ensure best possible results. Dan Bechard Ph. D. (Biomechanics) serves as a Research Associate at HUDSON, and coaches at Western in London ON. Javelin Technologies customer HUDSON Boat Works continues to impress with its commitment to creative 3D design and its winning ways on a world stage. HUDSON, based in London, Ontario, is a manufacturer of Olympic class rowing shells and a leader in developing racing hull shapes, carbon composite construction, and original components to advance the sport. 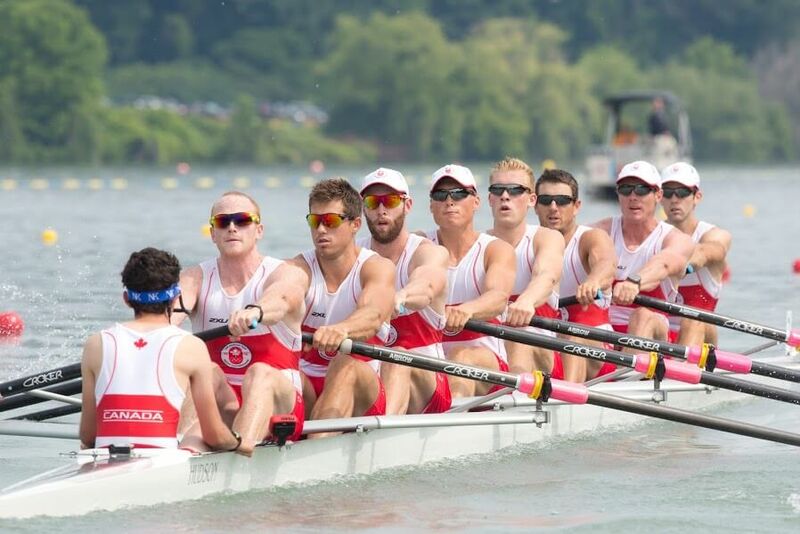 Since 1984, HUDSON boats have won more than 80 medals at the Olympics and World Rowing Championships; this summer, Pan Am athletes, most of them Canadian, won 11 medals in HUDSON boats. 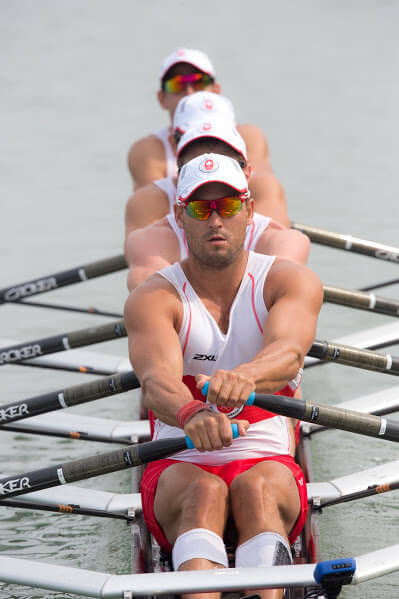 Canadian men and women competing in events from singles to eights won seven gold medals and two bronze medals. U.S.A. and Chile each took a bronze in a HUDSON shell. Craig McAllister is Commercial Manager for HUDSON. He says 39% of the boats raced during the games were HUDSON and that half of the gold medals were won in a HUDSON. Nine of the 14 nations competing in Pan Am rowing had at least one entry in a Hudson, including Canada, U.S.A., Cuba, Brazil, Chile, Paraguay, Venezuela, Guatemala, and El Salvador. 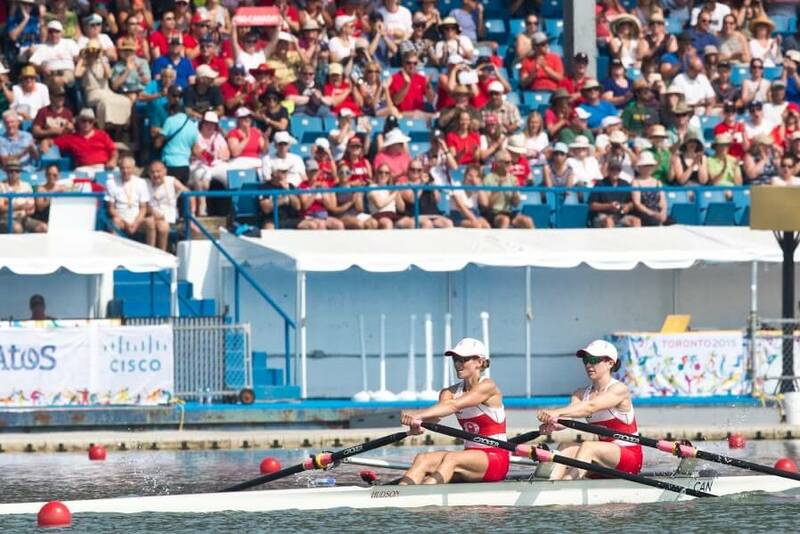 The Toronto Pan Am games marked just one of the highlights of 2015 for the HUDSON crew. The year began with a promise to build 77 rowing shells for Community Rowing Inc., based in Boston. It’s a not-for-profit program that makes rowing more accessible to people from all demographic backgrounds, especially the inner city youth of Boston. As the single largest boat order in the history of the industry, it infused a lot of energy and dollars into the business and provided a serious boost in HUDSON’s profile and status in the United States. Graham Cartwright, HUDSON’s engineering manager, reports that not only did HUDSON have to deliver a lot of boats on a strict delivery schedule, the team had to quickly design, analyze, test, and produce custom components created specifically for CRI. That’s because CRI boats are used by a diverse group of athletes – in age, size, and experience level. Greater-than-usual adjustability was needed to correctly rig the boats for different users. There’s no sitting around basking in success over at HUDSON. Half a dozen people are dedicated full time to improving designs and systems, pushing limits, and bringing ideas to life. One such project is a partnership with Fanshawe College, also in London. What started as a student project is close to being a physical reality; it’s the first boat test stand in the world that can test stiffness both longitudinally and torsionally, allowing boat-to-boat comparisons. Rowers will be able to understand how their boat compares to norms, whether it’s a new or used (and potentially fatigued) shell. Once the mechanical design was completed, an assembly model including all major devices (actuators, load cells, interfaces, panels, etc.) was easily created. The boat test stand gives HUDSON an edge on competitors, as does a new laser projection system designed and produced in house. Graham tells us that laser projection systems are available, especially in the composites industry, but that they are costly and have a number of features not necessary in HUDSON’s shop. 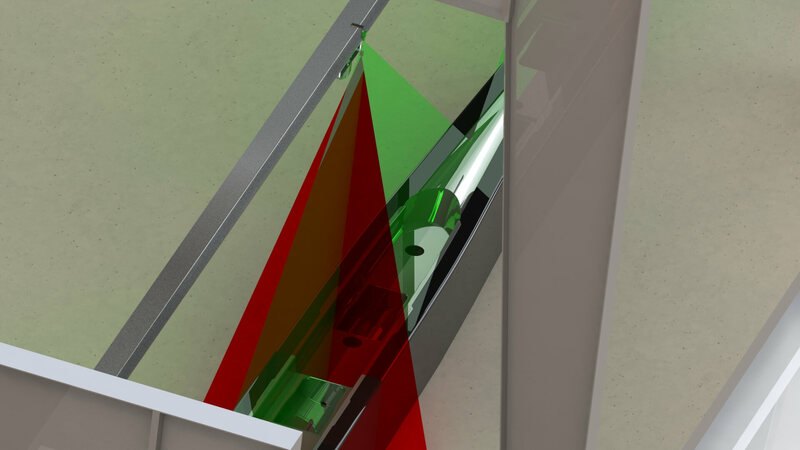 The laser system consists of a main structural I-beam and moving carriages that are controlled by touch screen. Once a boat is positioned under the laser system, it can be “homed” so that laser lines mounted to these carriages project down at key positions where components need to be installed. In rowing, where milliseconds and millimetres matter, HUDSON will never stop analyzing and improving the hull shape. Right now they are working with a naval architect who can study the hydrodynamics of how a shell moves through water, including unsteady flow, more useful in a rowing environment than steady state testing, which is better for sail boats. And, of course, there is the road to Rio – the 2016 summer Olympics in Brazil. With only the world’s powerhouse teams making it into the Olympic races, HUDSON will primarily support the Canadian team. Stay tuned for updates on Hudson’s Road to Rio!